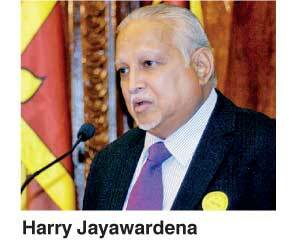 Senior business leader Harry Jayawardena has teamed up with Japan’s leading carriers ANA and JAL in a consortium to acquire a 49% stake along with management of SriLankan Airlines. The Daily FT learns that the consortium has conveyed its expression of interest to the Government, which is keen to revive the national carrier via a Public Private Partnership (PPP) initiative. All Nippon Airways Co., Ltd. (ANA), is the largest airline in Japan whilst Japan Airlines (JAL) is the second largest. Jayawardena is no stranger to the national carrier having previously served as its Chairman during which period the airline saw considerable progress. The tycoon’s business empire includes Aitken Spence, which has extensive interests in tourism, aviation and logistics, as well as Melstacorp, which holds a majority of key investments including in Distilleries. He also controls tea and food business giant Stassen Group. Incidentally, Aitken Spence Deputy Chairman and Managing Director Rajan Brito currently serves on the SriLankan Airlines Board whilst he was a Director previously as well. The bid by Jayawardena-led Japanese consortium comes amidst willingness indicated by world’s biggest airline Emirates to enter into a commercial agreement with SriLankan Airlines. Having previously owned a minority stake along with management contract and unceremoniously kicked out by the former President Mahinda Rajapaksa regime, Emirates isn’t keen on a similar engagement with SriLankan Airlines. 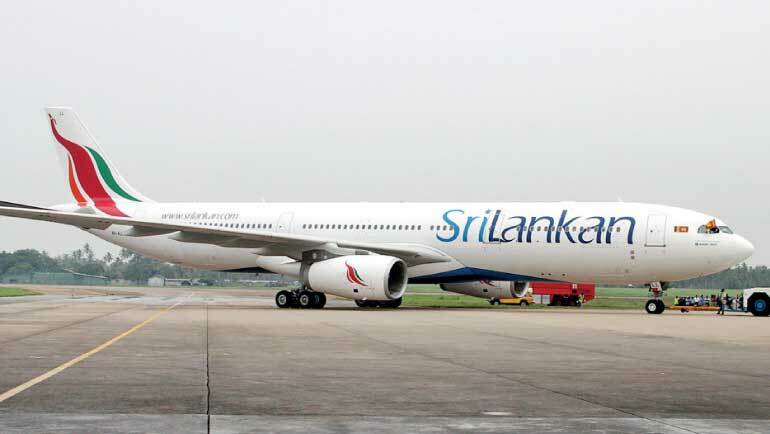 Strong expression of interests by these two parties, according to aviation industry analysts, is a big boost for the Government’s plans to revitalise the debt-saddled and loss-making SriLankan. Previous exercise calling for expression of interests saw around 14 parties responding and eventually the giant private equity group TPG being shortlisted. Following a due diligence exercise, TPG decided to withdraw, citing commercial and other reasons. Sources said that the Government under a PPP initiative will own a 51% stake as well as take over the debt of the National Carrier to make the airline viable for a new equity and management partner. In a statement last week the management of SriLankan Airlines pointed out that since the Unity Government was formed, the airline’s losses have been dramatically reduced from a high of Rs. 31.3 billion in 2013/14 to Rs. 27.7 in 2016/17. The airline lost Rs. 92 billion between 2011 and 2015. It also said the airline continues to pay a heavy price for the extremely high lease rental agreements entered into by the previous Board. The cost of terminating the leases on four A350-900 aircraft that were grossly overpriced and completely unsuitable for the National Carrier imposed a further burden on the airline. This figure was Rs. 14.3 billion in FY17. ANA last year bought a minority stake in Vietnam Airlines. ANA, which serves 227 destinations globally, is part of Star Alliance. JAL, which is Japan’s flag carrier, is part of oneworld, in which too SriLankan Airlines is a member. ANA also controls several subsidiary passenger carriers, including its regional airline, ANA Wings and charter carrier, Air Japan. Additional smaller carriers include Air Do, Vanilla Air, Allex Cargo (ANA Cargo), and Peach, a low-cost carrier. JAL group companies include Japan Airlines, J-Air, JAL Express, Japan Air Commuter, Japan Transocean Air and Ryukyu Air Commuter for domestic feeder services; and JAL Cargo for cargo and mail services. JAL group operations include scheduled and non-scheduled international and domestic passenger and cargo services to 220 destinations in 35 countries worldwide, including codeshares. The group has a fleet of 279 aircraft.